There is no question that wedding photographers face a lot of challenges on the job. Shooting for eight, ten, twelve hours or more, indoors and out, with every conceivable lighting condition, changing weather, mixed up schedules, missing bridal party members, multiple locations, and who knows what else. Everyone would agree that a wedding photographer must have artistic talent and technical expertise, but given these working conditions, how important is experience? All ISPWP members must have at least 50 weddings under their belt to be considered for membership, so we rank experience very highly, but we asked our members for their opinion. The experience of the photographer is the most important thing especially now when the camera doesn't matter so much. Through years of experience, the photographer is able to see the light and catch the moments better than a new photographer who has just started. The best way to know how much experience your photographer has is to see a few full finished weddings, to see if the files that he delivered to the clients have the same quality from start to end. Also, you can check the photographer's blog and see weddings made a few years back and see how the photographer evolved. If you see beautiful moments, creative shots, and consistent editing then for sure that photographer has enough experience to deliver your beautiful photos. A highly skilled photographer can conform himself to hard situations anytime he meets them. In a wedding, everything happens fast and so he has to deal with it straight away. He always has to be ready for anything. You know how skilled your photographer is from the way he speaks, the manner in which he replies to your questions and of course from his portfolio presented on his website. Be sure to see complete weddings, with enough photographs and not only with few (5-6) photos in any post. The criteria for a beautiful photograph is personal, starting from whether or not you like the work of the photographer: not at all, a bit, enough or a lot, this is at your own discretion. Things very often do not go according to plan. An experienced photographer is able to quickly adapt to unexpected circumstances, and not freak out because the lights have been dimmed in the church 30 seconds before the ceremony begins. There are no "do-overs" at a wedding, so you want to make sure your shooter is prepared to get it right the first time. I would ask your photographer about their photography background - both wedding and non-wedding work. A background in newspaper photojournalism is particularly good. I would want someone who has been making a living as a photographer for 5+ years. I would also look in their portfolio for candid images from a variety of lighting situations. If you see mainly posed portraits and outdoor daylight photos (technically very easy), that would be a red flag for me. You should care about how much experience your photographer has because some wedding photographers may work part time, and only shoot a couple of weddings a year on weekends. You should ask to see at least a few full galleries. This will give you a better idea of what your wedding photographer can provide and if he has enough experience. 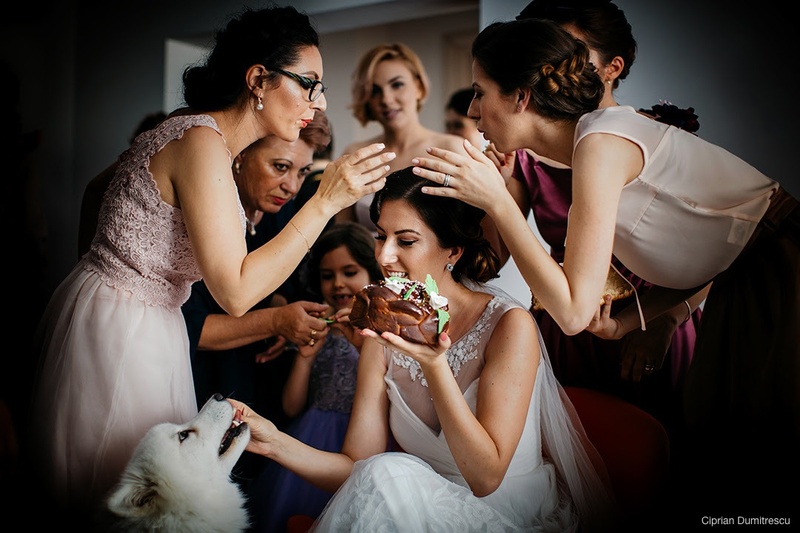 For a once in a lifetime event, the couple has to be reassured that they contracted a professional that is able to face any potential circumstances during the wedding day. It isn´t a fancy camera that makes a photographer experienced, but it is their ability to deal with any unexpected conditions during the day like adverse weather conditions, poor lighting, reception venue limitations. An experienced wedding photographer has the sensibility for diverse cultural nuances and knows how to respect them. One can easily spot whether a prospective wedding photographer has experience through their portfolio. 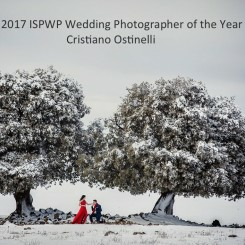 A photographer with numerous weddings under his belt has the unique ability to predict the next moment, anticipate the couple´s emotion or reaction throughout the day, and is ready to capture that swift instance through the lenses. An experienced wedding photographer also has a steady consistency in publishing their work on their blog, webpage or social media, and has an interactive public presence. I believe that a good photographer not only shoots with his camera, but with his life experience, the experience of the various weddings and stories that went through his lens. For this reason, it is essential to hire someone wit extensive photographic experience and knowledge of advanced techniques. To correctly choose your photographer, look at a lot of his work in detail. You should meet him in person and talk a lot, and get a sense if you can trust the photographer. If his work has won many awards and prizes that is another tip. If he has won many awards it is a sign that he has been in business for a while and has the experience of many weddings. There is hardly a bigger event in your life than your wedding day. Who you choose to be there has a big impact on how everything will run, and some of the only things you'll keep from your big day are the pictures. You'll want someone who is kind, courteous, and (of course) a talented professional to be there with you every step of the way to make sure your lifelong memories are immortalized in beautiful detail. First and foremost, you should always look through your potential photographer's work. After you see what's on their social media and website, you've seen what they consider their very best, so you should ask to see a set of proofs from some recent weddings so you can see how it all looks from beginning to end. After seeing a sampling of their work, you should ask for references. It's important to find out not just how great their photos are, but how they interact with people. Please, care about your photographer’s experience! Because it is with experience, wedding by wedding, that a photographer learns the best ways to deal with recurrent issues such as problems with lighting, venue, space to move in the ceremony, etc. And, it is also with experience that the photographer perfects his/her skills and know-how. So, please, care! Check his website. If you see a lot of pictures from the same couple, it probably means that the photographer has only that wedding to show you. Second of all, look at his blog, Facebook or Instagram. It is in those medias that he will showcase his most recent work. If the entries are old or repetitive, maybe the photographer is not very active in his business. But, if the photographer is an "online-life hater" such as me (lol), make an appointment to meet in person and ask to see various works. Weddings are beautifully romantic and, at the same time, chaotic, hectic ordeals full of unforeseen surprises. As much as a rookie photographer's good intentions and artistic eye honed from years of amateur photography appear to be a guarantee of beautiful images, there is simply no substitute for experience. Each wedding is unique and so are its challenges. Seasoned professionals will be able to foresee many things that may unexpectedly happen and work around them in time to get the shot that matters! Does his portfolio contain many beautifully captured moments despite tricky circumstances? Is there enough of these shots that it couldn’t be down to luck? Also, ask him what would he do in a few tricky imaginary scenarios. It’s not so much a matter of what he says, but whether he says it with confidence. What do you think? Agree or disagree? Do you have other opinions? Please share them below in the comments! And if you are looking for a wedding photographer, please go to our homepage and enter your wedding location to find a photographer for your location. If you are a photographer interested in membership, you can read about our membership requirements and submit an application on our Membership page. I agree. The experience of a wedding photographer is one of the most important things, if not the most. Thanks for sharing all of the opinions. Experience is an important factor to consider while hiring a wedding photographer. A well experienced wedding photographer knows his job well, he understands the significance of that moment and accordingly he organizes everything. He could be more expensive than a non-experienced photographer but it's better to pay extra rather than compromising on the quality of wedding pictures. You have covered this very beautifully! I personally feel it's important that photographer has some sort of experience even if just as an assistant as it makes the whole shoot smoother and couple need not worry about quality of shots taken. Many things can go wrong on a wedding day: The bride may not be happy with the makeup so that the make up artist will have to use extra time, the videographer may want to get some time for the video purpose when things are already running late, and then the wedding coordinate whisper to the photographer to get things done in five minutes, since she wants to get back to schedule. Experience will paly a crucial factor when this happens. An experienced wedding photographer can handle the pressure and solve the crisis on the wedding day smoothly. Often times, such problems can be avoided when an experienced photographer communicate with the couple and coordinator in advance. But sometimes, unexpected things can still happen, and the experience can help to make the wedding day enjoyable for the bride and groom. Go for an experienced wedding photographer for an unforgettable experience on the big day. Experience is what sets apart a true professional from the part-time or armature photographer. Everybody can capture an amazing image from time to time and get lucky. This is where a true professional with experience will shine through! The ability to see the light, skill set to capture the light and experience to put it all together and know where to be and when! Weddings and situations are constantly changing. You need a great photographer with experience to know how to capture amazing images over and over again. How to use light creatively. I have trained many photographers over the years and it takes a lot of time and effort to develop the skills to become a great photographer. Both technical skills and people skills! Your photographer will be beside you your entire wedding day and you also want someone you like and get along with! We will be a huge part of your day as we spend the entire day with you. Advice: Talk with your photographer and get an idea of who they are. 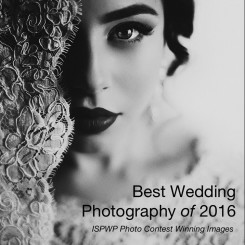 Ask to see a large selection of work, not just "best of" where you see their best images from each wedding. Find a photographer who's work you like and talk with them. This is one of the largest investments you will make on your wedding day and so important to get it right.